Kathy Schultze, State Farm Ins. 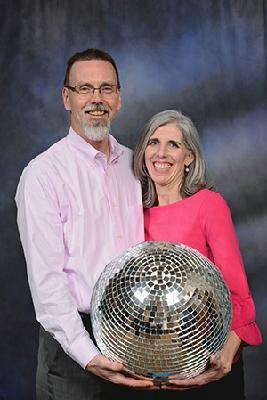 After years of being Memory Ball spectators, Christina and Michael are very excited to be dancing in this year’s event. Christina, a licensed social worker, is the Program Director at Daybreak Adult Day Services, Frederick County’s only adult medical day care center serving seniors. Christina also serves as President of the Frederick County Elder Services Provider Council, the networking group for senior care professionals. Through her work at Daybreak and in the community she has met hundreds of people living with dementia as well as their caregivers, and has seen firsthand the devastating effect the disease has had on both. Dancing for the Memory Ball is one small way to honor all of them and do something to help put an end to Alzheimer’s and related dementias. Michael serves as director of finance for local defense contractor Southeastern Computer Consultants Inc. Though he would much rather be chopping wood in his yard, he is looking forward to this dancing adventure. Christina and Michael live happily in an empty nest in Middletown, while their two college-age children travel the world. Please make a donation to help the Alzheimer's Association advance research into prevention, treatments and a cure for Alzheimer's. For the millions already affected by the disease, the Association offers care, education, support and resources in communities nationwide. Every dollar you donate through our page (or ticket sales or sponsorships) counts as a "vote" for us. We know we won't win based on our dancing abilities alone, so raising money is our only hope for a win!